These past few months, Sticker Genius has experienced some unexpected developments. Our office dogs have adopted the role of the unofficial mascots of our building, and it seems to be a role they’re perfectly happy to take on. While we love all our employees equally here at the Genius Lab, we can’t help but feel that these dogs are the only “truly perfect” ones. It has almost been one full year since we moved into our new location in Troy, Michigan and so much has changed. With our company growth booming, we wanted to extend the opportunity to give a behind the scenes look into what is going on around the Genius Lab. Paw Treks is serving up some Instagram worthy adventure for our canine friends. With a devotion to helping human companions enhance the healthy lifestyle needs of their canines, so they too, can live their best lives. 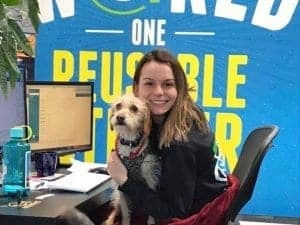 Paw Treks is building a business based on engaging the physical and emotional needs of our canine friends, and even cooler, they are using Sticker Genius Custom Restickable Vehicle Stickers to help them get the word out about their brand. We all know that stickers are great to put on cars, laptops, and windows but there are also some fun and unexpected uses of stickers that are pretty clever. 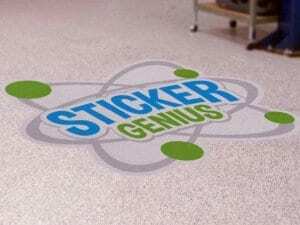 Here at Sticker Genius, we are always looking for new and exciting products to bring to our customers, so we consider it our solemn duty to share these different types of sticker applications with the world. Our custom wall decor is an amazingly simple way to transform your space. 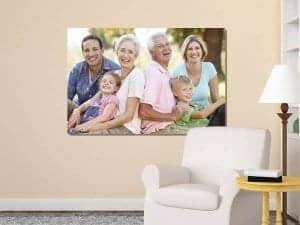 Here at Sticker Genius, we have a variety of custom wall pieces, perfect for you to warm your home. With our ingenious products, you can decorate and design different areas of your home, without worrying about causing damage or leaving a huge mess behind. These brilliant products will bring new life to your home and keep your special memories preserved. Looking to plan a charity or fundraising golf tournament? A typical golf outing presents countless opportunities to raise donations per golfer and increase funds for it’s beneficiary. 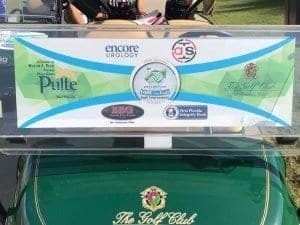 By charging individuals to play and also selling hole, cart, and beverage sponsorships to local businesses, most fundraising events have a high probability to generate funds in fun and creative ways. 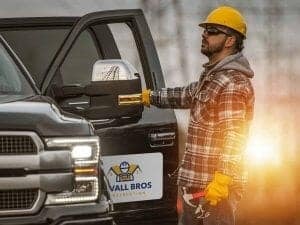 In 2015 when Ford transitioned all its mass-produced vehicles to an aluminum body, it meant some big changes for contractors and small business owners. One of them being the once popular vehicle “magnet sign” was suddenly obsolete. Companies were then forced to began searching for an alternate option. 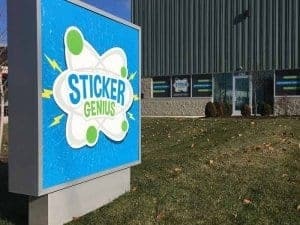 Here at Sticker Genius, we love working with local companies! We love the idea of shopping small and supporting local businesses. 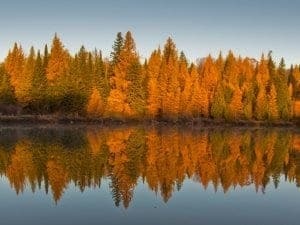 We do a wide variety of print work for an abundance of unique, fun, and interesting companies scattered around the Great Lakes State. We love the relationship we share with our clients and wanted to give a shoutout to some of our favorite Michigan made companies. If your business already has a logo that you love, you’re one big step closer to getting your brand out in front of people. Your logo is the most important part of your visual identity, and using it both online and offline will help you gain recognition and instantly appear more professional to potential customers. We know it’s been a while since you’ve heard from us, but thanks for being patient and giving us time to grow. Given the progress we’ve made these last 10 years, our customer relationship is extremely important to us. For that reason, we can’t wait to bring you what’s next! We are looking forward to providing you with more products, more quality, and continually improved customer service experience in the years to come.